Let's Learn English Lesson 21: Can You Come to the Party? Anna meets her friend Marsha in a coffee shop. Marsha asks Anna to come to a party. But Anna has to take a driving test. Can Anna come to the party? In this video, you can practice saying the new words and learn how to show that one event comes after another event. This video teaches about two ways to pronounce have to. Lesson 21: Can You Come With Me? Anna: Hi there! Washington, D.C. has some great coffee shops. My favorite is this one -- Busboys & Poets. Anna: Actually it’s more than a coffee shop. It’s also a bookstore, a restaurant and a theater! Anna: Marsha and I love coming here. Marsha: Hey, Anna, my friend is having a party on Saturday. Can you come with me? Anna: Sorry, I can’t come with you. I have to get my driver’s license. Marsha: Will you be busy all day? Anna: I don’t know. First, I have to take a test on the computer. Then I have to take a test in the car. Marsha: But you have to take the test during the day, don't you? Marsha: The party is at night. Anna: Oh. Then I can come with you to the party on Saturday night. Marsha: Great! I have to help my friend with the party. Can you help me? Anna: Sure. That sounds like fun. Marsha: Everyone has to bring something or do something. You can bring food, or you can perform. Anna: Really, I can perform? Marsha: You can! Can you? Marsha: In this country, nobody recites poetry at parties. Um … can you do anything else? Your card is the 10 of diamonds! No? Pick a card. Any card. Here, just pick this one. Marsha: Anna, maybe you can just bring food. Marsha: That’s it! You can sing at the party. Now, I have to go shopping for food. Anna: Can I help? I’m not busy right now. *The song Trouble in Mind was written by jazz pianist Richard M. Jones. In this lesson, Marsha asks Anna to come to a party on Saturday. What do you like to do on the weekends? Write to us to tell us about what you plan to do next weekend. Send us an email or write in the Comments section. Use the Activity Sheet to practice talking about your talents and skills. Learning Strategies are the thoughts and actions that help make learning easier or more effective. The learning strategy for this lesson is cooperate​. When we work together to help others we are cooperating. We also cooperate when we help someone understand their second language. In this lesson, Marsha tells Anna about a party. Everyone who comes to the party cooperates by bringing food or performing something. Anna wants to cooperate by performing at the party. Can you find another time in the video when Anna or Marsha cooperate? Write to us in the Comments section or send us an email. Teachers, see the Lesson Plan for more details on teaching this strategy. Check your understanding and practice your listening skills with this quiz. 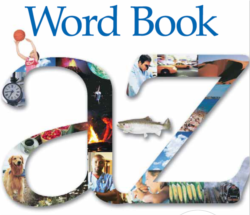 Download the VOA Learning English Word Book for a dictionary of the words we use on this website. Each Let's Learn English lesson has an Activity Sheet for extra practice on your own or in the classroom. In this lesson, you can use it to practice talking about your talents and skills. See the Lesson Plan for this lesson for ideas and more teaching resources. Send us an email if you have comments on this course or questions. Are you teaching with Let's Learn English? Send us a photo of your class and we'll put it on our Facebook page. Now it's your turn. Send us an email or write to us in the Comments section below or on our Facebook page to let us know what you think of this lesson. Lesson Plan - Lesson 21: Can You Come to the Party? Please tell us how you are using "Let's Learn English"
Each week, there will be a new lesson with video showing the lives of young Americans. The lesson includes instruction in speaking, vocabulary and writing. There are also printable worksheets, assessments and lesson plans for individual learners and English teachers. We encourage you to follow the weekly lessons and share your progress with us through comments and email.